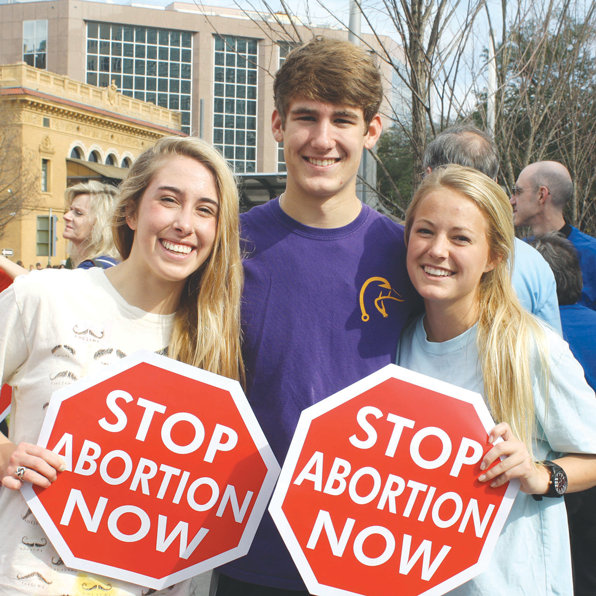 BATON ROUGE — More than 2,500 men, women and children marched from the Old State Capitol through downtown Baton Rouge to the State Capitol last Saturday to support the right to life and oppose abortion. The event marked the 40th anniversary of the Supreme Court decision in Roe v. Wade, which legalized abortion on demand in all 50 states. Louisiana, which has a legal tradition of protecting the unborn since the Civil Code of 1820, has been in the forefront of opposing legalized abortion. This year’s march included more than 1,000 young people, who energized the crowd. Organizers said a new generation of pro-life supporters is strengthening the movement.